of the commemoration of the birth of our Lord and Saviour, Jesus Christ, they also used the occasion to unleash holy terror on the kingdom of darkness. The Mass Prayer shook the foundations of the satanical kingdom and caused commotion in the gates of hell. The intensity of the Mass Prayer also brought about deliverance, healing and liberation for those under the many different yokes of the devil. 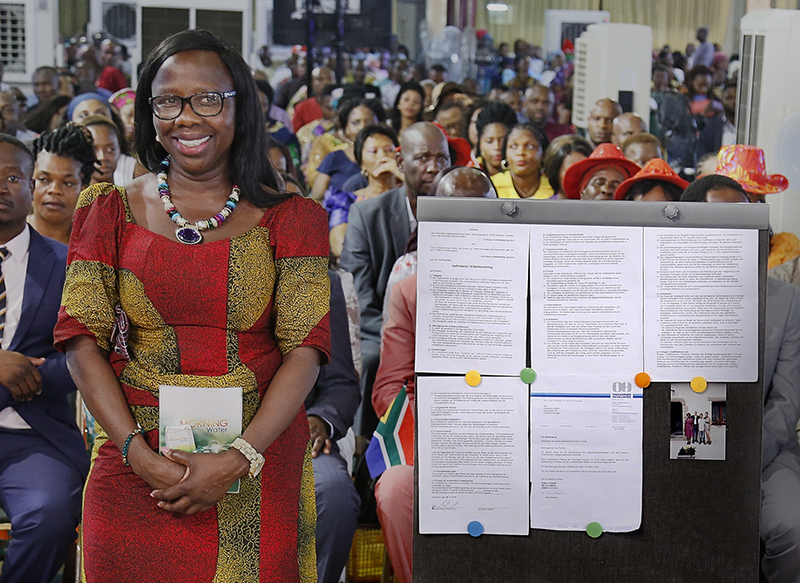 Congregants also made positive confessions of promotion, prosperity, sound health and career progress ahead of the approaching new year. After Prophet T.B. 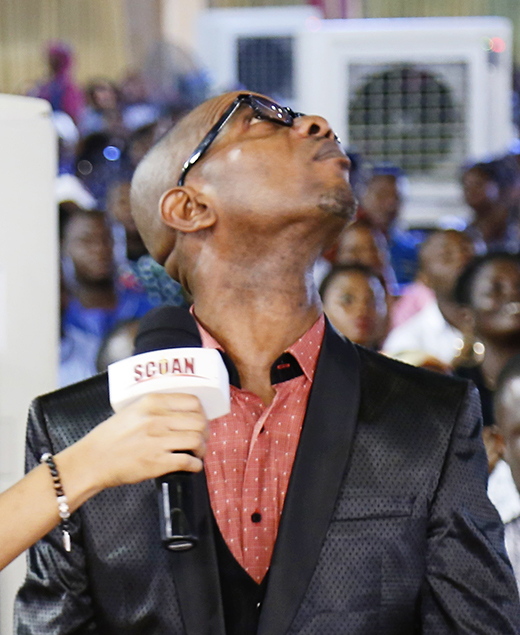 Joshua prayed for him, he noticed that he could turn his hitherto stiff neck. All the debility and excruciating pain that came with the stiff neck stopped. Thanking God during his testimony, Mr Ekene who has since returned to his work, observed that he can now sleep peacefully without discomfort. According to him, he now drives his car with ease. 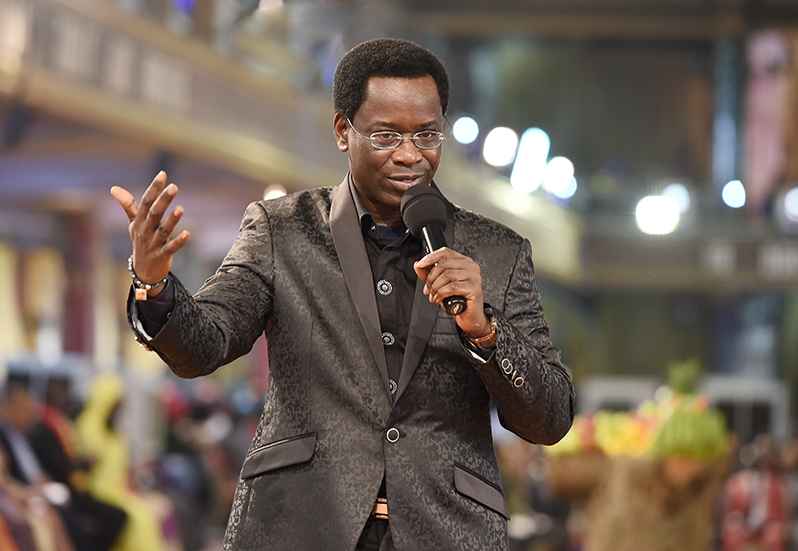 He advised people all over the world to put their trust in God. Despite the fact that she is a nurse, Princess Caroline Ene could not help herself tackle the ailment that had befallen her. For two years, she suffered from difficulty in walking and had to resort to the use of a lumbar corset. The ailment made her unable to carry out domestic chores. Not even was she able to lift a bucket of water. All her quest for a solution ended in futility. 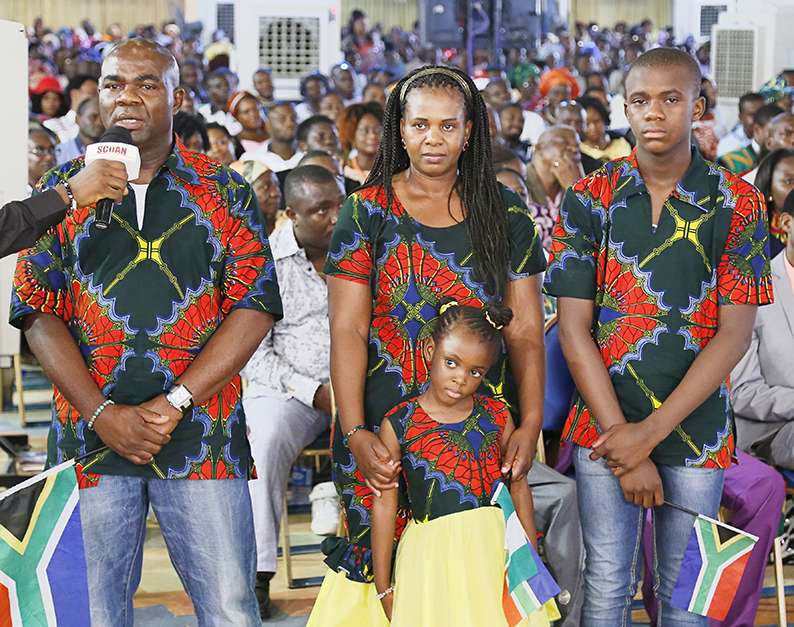 The Nigerian residing in the United States of America had to make the over twelve-hour journey in order to attend the 2016 Revival Service at The SCOAN, Lagos, Nigeria in December. Mrs Maduakwe had terminated three of her pregnancies and almost lost her life in another attempt to abort a six-months-old pregnancy. She continued to live a violent life and eventually rekindled a relationship with her ex-boyfriend. She even told her husband that the young man was just a cousin. She continued to frolic with her ex-boyfriend as they would meet secretly without her husband having an inkling of their escapades. On his part, Mr Maduekwe also had extra-marital affairs because of his wife’s seeming frigidity. For fourteen years, the marriage hit the doldrums. 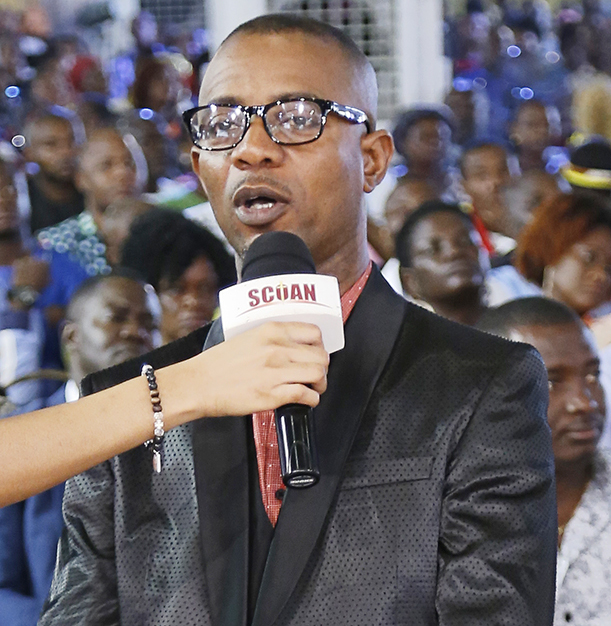 The couple visited The SCOAN and encountered the man of God, Prophet T.B. Joshua as he ministered prophecy to congregants. 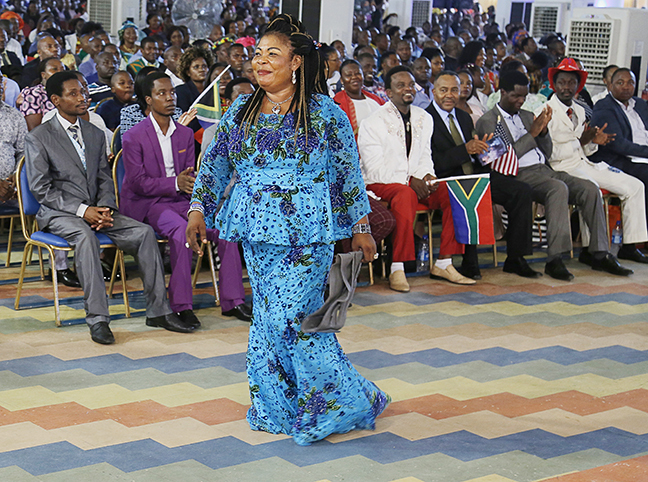 As soon as the prophet approached her, the spirit inside Mrs Maduekwe started manifesting. 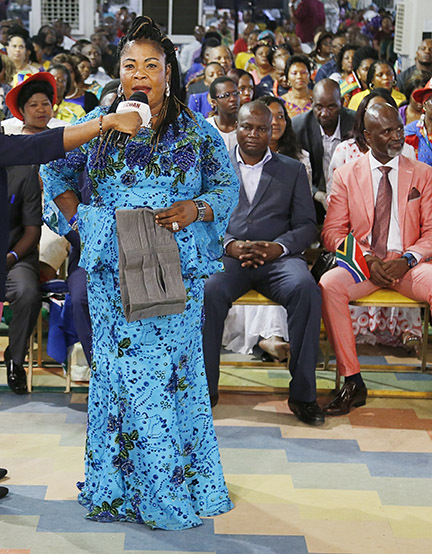 The man of God went on to tell the couple that the cause of their marital woes was a spiritual husband that had been tormenting Mrs Maduekwe for a long time. 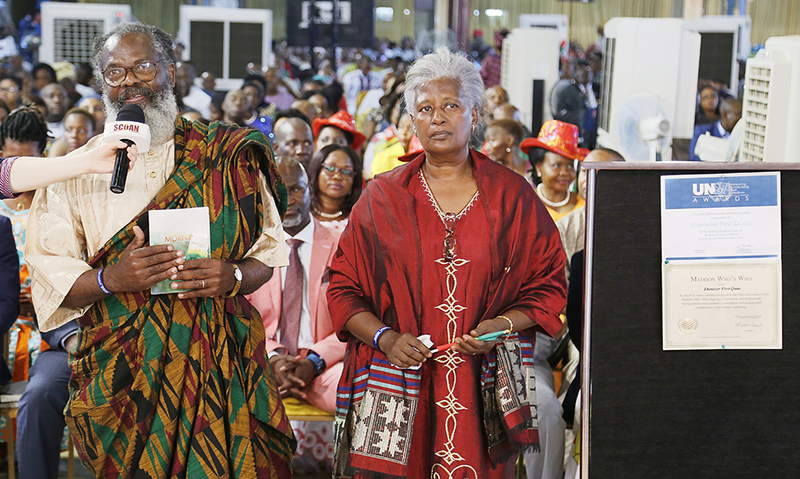 The couple thereafter received their deliverance in the mighty name of Jesus. 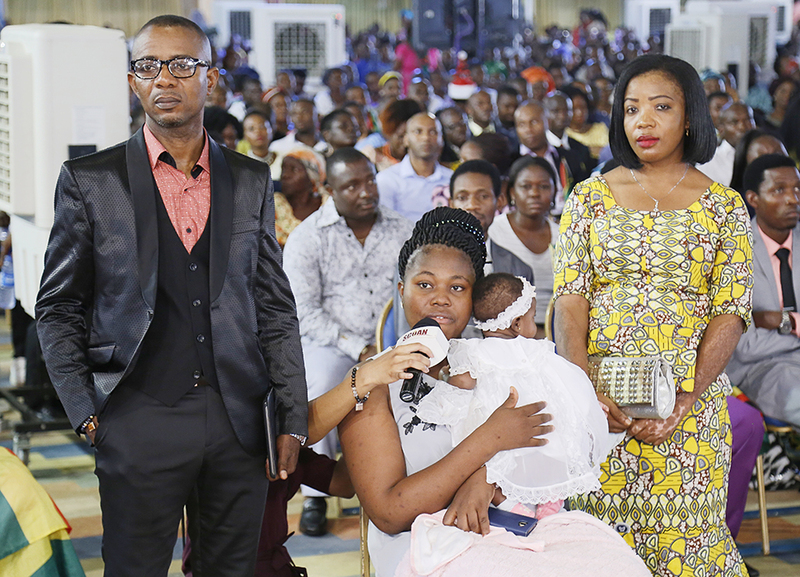 Since their deliverance, the couple have rediscovered the true love that was the hallmark of their early days as a married couple. 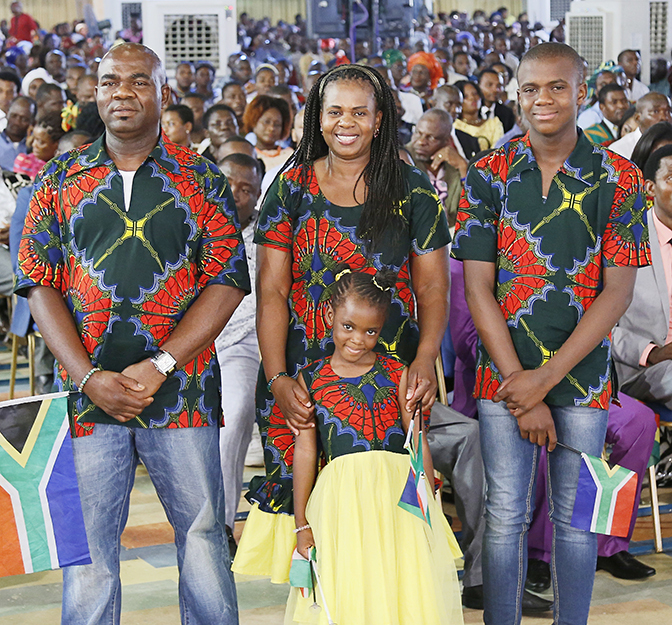 Mrs Maduekwe urged people all over the world to know that God’s time is the best while her husband added that we should run to God in the face of every marital problem.